we never blend in with the crowd, but we sure do LOVE a brush that blends in concealer… And the Lock-It Edge Concealer brush is a dream come true! Its unique sculpted shape nestles perfectly into the under-eye area, and also concentrates coverage over blemishes and spots on the face. Symmetrical tapered bristles (synthetic and cruelty-free as always! ), and an all-over medium density deliver 360 degrees of precise, even blending. Designed for long-wear, high-pigment formulas, such as Lock-It Concealer Crème, this brush optimizes the coverage, wear and finish of your concealer. Ultra-soft synthetic bristles seamlessly blend concealer precisely where you want it, making quick work of brightening under-eyes, neutralizing redness, concealing spots, and even contouring! The sleek stiletto handle—inspired by a witch’s broomstick—provides an ergonomic grip for ultimate control and also doubles as a mixing tool! This brush was made for use with Lock-It Concealer Creme! For best results, wash bristles after each use. ARTISTRY TIPS: – This brush works perfectly for cream contouring. The sculpted shape effortlessly hugs the curves of the face for a seamless application. 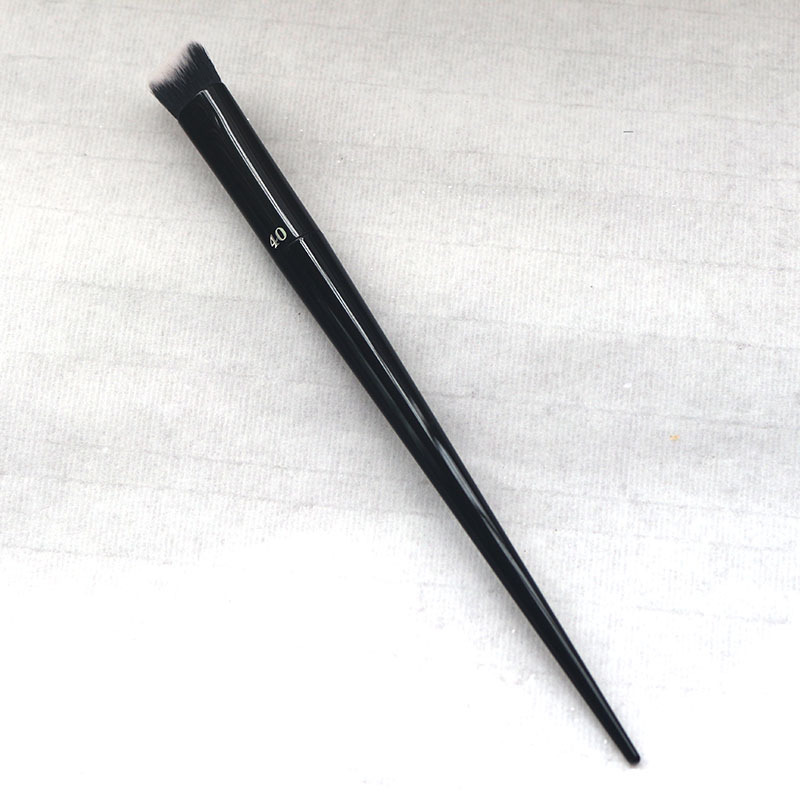 Use the Lock-It Edge Concealer Brush for smaller areas, such as the nose. To contour larger areas, such as sculpting cheekbones, use the Lock-It Edge Foundation Brush. – The brush’s long tapered handle performs double duty as a mixing spatula. Dispense your shades on the back of your hand or a palette and swirl together with the handle. This technique is perfect for on-the-go artists who need to travel light. – Use the brush handle as a line guide for winged eyeliner. Hold it along the outer eye to get the perfect angle before creating your wing with Tattoo Liner.